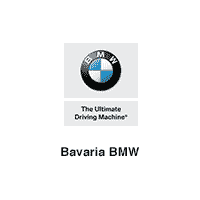 Recently picked up a 2016 340i and I am extremely pleased with the vehicle itself and the level of service I received from Matt Redhead, Jason Spicer and the rest of the staff at Bavaria BMW. This is now the second vehicle I have purchased from Bavaria, I would highly recommend this dealership. Great experience! We stopped in very late on a Saturday afternoon to check the used BMW X5's and found a couple that we wanted to check out further. We were so fortunate that Denis Frehlich was working that afternoon. He was wonderful to work with as he was accommodating, helpful and kind. The purchase decision was made in just over hour! When we came back later in the week to pick it up he made sure to take additional time to run through all of the features the vehicle offers. Highly recommend Denis. I came in yesterday and knew nothing about buying a vehicle. Matt Redhead was so understanding and patient with all my questions. I can’t wait to deal with him in the summer. Jason and his staff are so great everytime I go in there. The cars are also so clean they must have one of the best detail departments in the city. I just purchased my first BMW X4 and was very impressed with the service of Douglas and Franco ! Thank you guys for such an amazing job you did to make my dream come true ! I would highly recommend this dealership and Salesperson Douglas Bodtcher . I wish you good luck in your business ! Had an i8 shipped to Toronto. Overall good experience. The Manager Henok handled small issues that arose very well.